We need to listen to Pope Francis’ appeal. “I urgently appeal, then, for a new dialogue about how we are shaping the future of our planet. We need a conversation, which includes everyone, since the environmental challenge we are undergoing, and its human roots, concern and affect us all. The worldwide ecological movement has already made considerable progress and led to the establishment of numerous organizations committed to raising awareness of these challenges… All of us can cooperate as instruments of God for the care of creation, each according to his or her own culture, experience, involvement and talents” (n°14). The earth is “our common home” is a beautiful statement. The word home, simple as it is, tells a great story about the life of any living creature. It provokes the sentiments of belonging, tranquillity and joyfulness revealed in Sacred Scripture in the book of Genesis “Then the Lord God planted a garden in Eden…. and he placed there the man whom he had formed. Out of the ground the Lord God made various trees grow that were delightful to look at and good for food, with the tree of life in the middle of the garden and the tree of the knowledge of good and bad (Gen. 2:8-9, The African Bible). The themes in this short text are clear: the presence of a person on earth endowed with dignity, the soils that sustain vegetation, plenty of food and trees that provide an aesthetic milieu, abundance of life and possibility to discern the authenticity of life. When the Pope makes this appeal, he is deeply aware of some of the debates at various conventions held since the 1970s that have led to declarations and policies. These debates have seen shifts in the emphasis laid on certain topics. At the beginning, the stress was on development and its sustainability. The stress has now come to be on the earth itself and the impact that human action has had in these last centuries of industrialised development. This shift has forced a number of states to formulate polices regarding the environment and ecology and some have enshrined them in their national constitutions. Techno-science has given us more information. Religions are more aware of the material world. Inevitably, this has affected human consciousness and made it reflect seriously on the issues and to take action without exclusively basing themselves on faith or scientific grounds. Occurrences of floods, the melting of polar-ice or snow on some mountain tops in Africa, expansion of desserts, air and water pollution, rapid extinction of some fauna and flora species, depletion of bog-lands and wetlands, irregular seasons, all trigger despair and debate among housewives, herd boys , sailors, policy makers and techno-scientists. These events affect the safety, security and happiness of humanity. It is said that our common home has enough for everybody’s need but not everybody’s greed. The Pope calls for a conversion to be more responsible and concerned about others. The encyclical mentions that the resources of the earth has been exploited to satisfy the greedy at the expense of the needy. It calls for a balanced life-style and moderation of human passions, which Hippocrates had mentioned before the era of Jesus. One important point, does not feature strongly; the population explosion. There are too many feet treading the earth and too many stomachs to fill. There is a remarkable population increase in every country. The more population grows the more facilities we need; more food and space are required. The animal population has also multiplied and they need more space and feedstuffs. Consequently, lamentations rise instead of praises. We need more space for living as well as for more food and water. In a long run, more rubbish will be generated leading to more pollution. The human population seems to claim more rights over the other members on the block. If we are still inspired by the ‘Genesis concept’ of Eden, where it was all good, we have to design policies, adapt our catechesis and change our habits and create awareness among the earth’s inhabitants. “This basic awareness would enable the development of new convictions, attitudes and forms of life. A great cultural, spiritual and educational challenge stands before us, and it will demand that we set-out on the long path of renewal (n°202) Commitment to ecological concerns without the promotion of the human dignity is futile. The earth needs to be a home for all creatures. We have to engage in matters of justice, advocacy for equal opportunities, provide a home for refugees and migrants. We need to respect and appreciate people’s cultures and traditions. We need to promote basic rights such as food, shelter and gender equality. Among us there should not be any segregation based on anything. We need to cultivate a fascination for landscapes, vegetation, water, animals and fish. We have to contribute towards harmony in “our common home” by conserving or planting trees, cleaning our streets, or closing a water-tap. We have to engage neighbourhood communities in biodiversity protection campaigns by using modern media. We need to know more about the natural sciences to be able to pass it on to others and get a better understanding about the natural world. See: Pope Francis’ encyclical on the environment and human ecology. PDF file: Il nous faut écouter l’appel du Pape François. 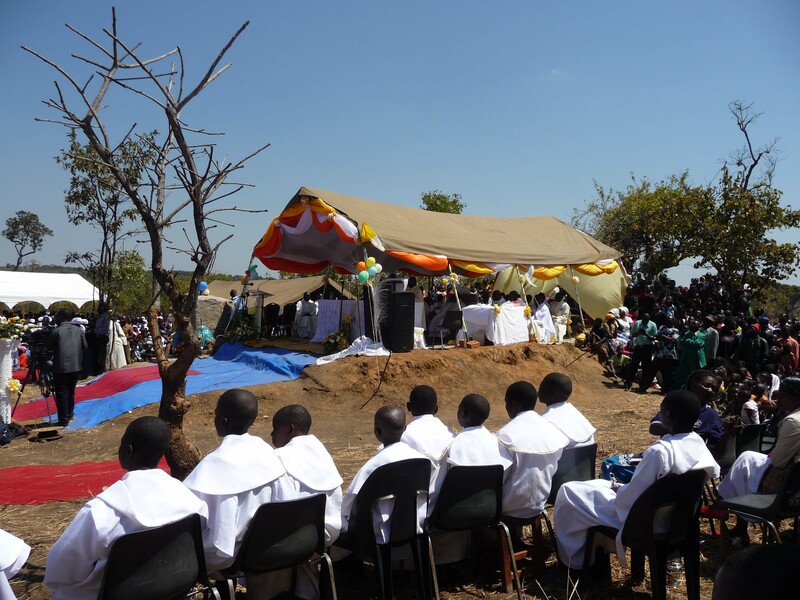 The conference of the Catholic Bishops of Zambia (CCBZ) decided to launch 125 years of Catholicism in Zambia. It was done on August 06, 2016. Present were local people, Christians of neighbouring parishes, representatives of various Catholic dioceses in Zambia, priests, religious, government officials, traditional chiefs, some bishops and the President of the Republic of Zambia and the first lady. It was an inauguration 125 years anniversary of the Catholic Church. It will be concluded next year in 2017, July 15. 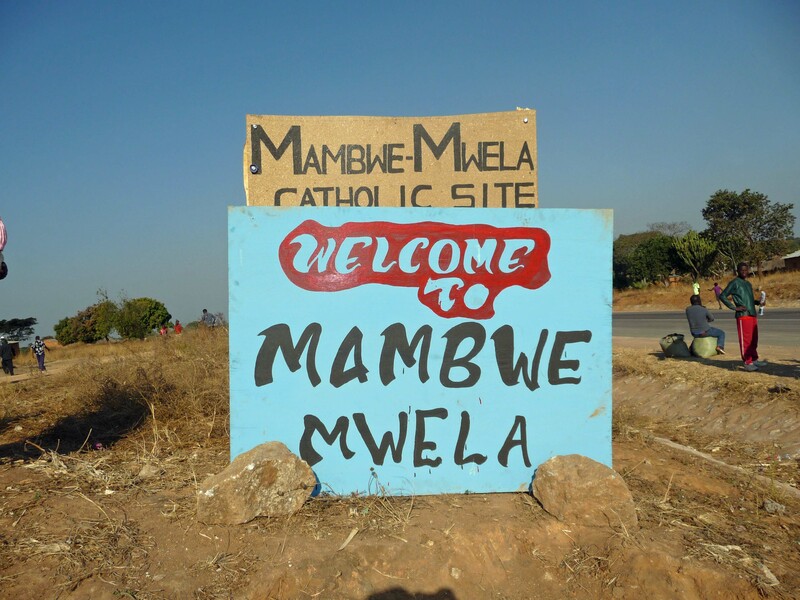 My first time to visit this site was in June 2004 when we scouted for it with a team of journalists to collect footage for a documentary on the history of the Missionaries of Africa in Zambia. When we reached this place, we took pictures and the video cameras rolled measures of tapes. At a point the five of us were in total solitude, sobbing in tears, cleaning the graves, uprooting some grass and shrubs with our hands. This was not our planned exercise on this place. Why did this happen? In our daily reviews we did not discuss this incident. I suppose there is something that hit-hard on each one’s soul. We were standing on sacred grounds and we lived a moment of grace. We were at a gate-way of God’s graciousness to the people of Zambia by establishing the Catholic Church. We are inspired by the courageous missionaries who braved the insecurities of the time to come and establish Catholicism. At that time when a missionary left from Europe to Africa, his family mourned because the chance of his returning was very little. We appreciate the people who welcomed the first missionaries. We urge all missionaries and various religious congregations to collaborate closely with the local church. We commit ourselves to listen attentively to the command of Christ so as to go and attend to his flock. We ask ourselves what work missionaries are doing today and what issues are their missionary priorities. It is a time to rekindle the principle of subsidiarity. We recommit ourselves to core values of the Gospel as emphasized by Christ Jesus and get in touch with the aspirations of the first missionaries to respond the human reality. We appeal to the local church to foster vocations and form the agents of evangelisation for both the local church and for missionary life. As Missionaries of Africa and all other missionaries who work in Zambia, we appreciate the people from every tribe, social strata and religion who welcomed us. Hospitality of Zambians is remarkable. We have lived our vocation, responded to the call of God and shared the Gospel among these people. Thanks to traditional, civil and political leaders in Zambia who afforded us human-social and political climate which has been essential part of our missionary work. “Akamana ukupoma: ni pa mabwe!” Jesus’ approach was to send the disciples to people. One factor was essential; that the disciples would be accepted and received by the people; disciples in turn would live among them, share with them the message of the Lord peacefully. If there has been any moment of tension or ungratefulness to the people of this land; the civil, traditional or church leaders, my sincere apologies. Missionaries of all times are at the service of God among the people to whom the spirit leads them. This is possible in respect and collaboration with Bishops. A spirit of partnership with a local church marked by unity among various congregations makes our vocation meaningful and a sign of witness to the kingdom of God in Zambia. “Twende pamo: te mwenso” also, “Umucinshi wa nseba: kwimina pamo”. We respect the charism of different congregations and missionary societies in Zambia. The Bishops have their own policies and priorities for their particular dioceses. The people of God live an experience that asks us to act under the inspiration of the Gospel of Christ. In spite of all, we need to cultivate a spirit of a common orientation in our pastoral work and have a common drive in our evangelization enterprise. We are not NGOs or Multinational Corporations in which competition and difference in approach matter. “Akanwa kamo: takomfwa nshama ukupya”, plus “Icilola umo: e caba ubufi”! We need to listen to Christ so as to attend to His flock. This demands deeper spirit of prayer and discernment, it urges us to be attentive to the reality in which we live, it calls us to be compassionate and exemplary in our lives. The Church is neither a theatre for comedians, a College Debate Club nor a museum for spiritual artefacts. The Church, understood as God’s people on a journey to salvation, needs to be strengthened with hope and create a just world marked by prosperity and a common concern that bears the fruits of the Holy Spirit. The message of Jesus the Christ is an invitation to transform the society; to be light to the nations, salt of the earth, and ‘piripiri’ in the soup. Christian mission is to comfort the discomforted and discomfort the comforted. A missionary, indeed any Christian of today, must be a bridge-builder and has to break any wall that divides people, let it be social, political, economic or gender. In Christ we are “Children of God”. Missionaries in Zambia need to rebrand themselves so as to respond to the situations that are contrary to the Gospel values such as corruption, tribalism, poverty, depletion of natural resources, neglect of the rural people in regard to better education and health facilities, and indeed other basic human rights. The life of the first missionaries records ambassadors of peace, healing and development. The time at which the missionaries arrived in Zambia, the Ngoni warriors, Bemba warriors, the Mambwe and other bordering tribes were fighting. On their own, the Bemba warriors were the terror of their neighbour, especially the Mambwe. The missionaries negotiated for peace, stopped the situation and defended the weak. They did a lot to alleviate some ailments of people. They started some education and sparked-off development in Zambia. Zambia society came to be known and appreciated in other areas overseas. 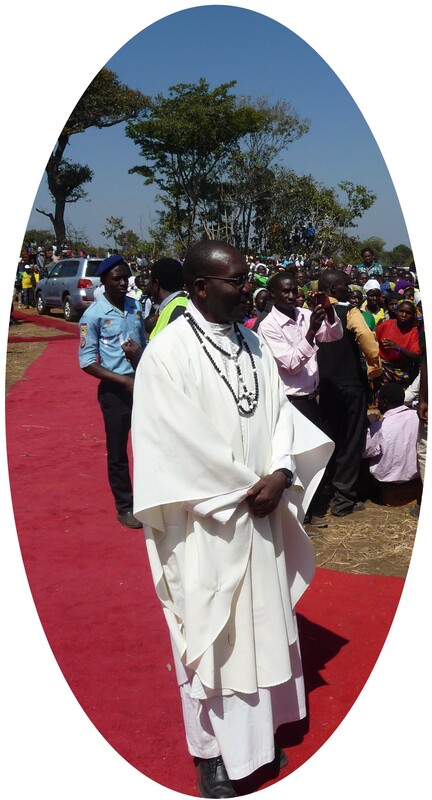 Bishop Joseph Dupont Motomoto for a time became a senior chief of the Bemba so as to prevent anarchy among the Bemba people after the death of their Chief Mwamba until the contentious issues were settled amicably. Therefore, negotiating for peace, intervening in social-cultural issues or participation in political matters needs to be part of evangelization. How are the missionaries of today responding to the new versions of war, corruption, oppression, corruption, social conflicts, deprivation, slavery, sickness and evil in Zambia? Zambia after 125 years of Catholicity has reached a mature age given the present epoch. Theologians argue that the Church is not a democracy but rather a communion. Fine! This communion is warranted by the “Principle of Subsidiarity” as emphasized by the Second Vatican Council. The Church dreamt of shared responsibility in the life of the Church so that faith can grow & services are available to the people of God. Church Leaders, the consecrated people and the laity have to lay their hands on the affairs of the Church according to their responsibilities and capabilities. A platform needs to be created on which each member of the church has to own a stake and be responsible for the Church; so as to be a “we” rather than a “they” mentality. Such is a rebirth of creative imagination, more freedom of reflection and action and responsible leadership of listening to one another guided by reason and the spirit of Christ. “Uwaleeta pa nsaka: tonaula”, truly “Cinci wa babili: te cinci uli eka”. The church leadership needs to trust, encourage and consult the laity. Women and youths need to stand-out as great energies for Church life. The church is a family of the people of God. The Zambia Church needs to reconsider promotion of vocation for the dioceses and missionary orders and congregations. “Mwana wa mupe: tafwa nsala”, validly “Akaboko: kakonka akabiye”. There seems to be less vocation promotion ministry for our various dioceses. Each diocese needs to have an active office in this regard; to explain to the faithful especially the youth, the need and the process for the vocation to religious and priesthood. The task of reviving the Church missionary-spirit and re-evangelizations needs new energies of well formed, trained and good-willed people. “Umunwe umo: tausala nda”. We observe crisis in religious and priestly vocations in Zambia. The root-cause could be partly the recruitment and formation policies. We need bigger numbers in which we can choose a few committed young people to take-up the vocation to religious and priestly ministry. We can count on the providence of God but God counts on our imagination informed by reason and faith in Him. “Lesa afwako: abayafwa”, conversely, “Muuba ukulila: ni pa mafito”. The above personal reflection is a petition to God for missionaries and for Zambia. God bless our mission, bless our people, bless our leaders and bless Zambia. May Christ guide us anew to tread the missionary path for the Gospel of Christ in Zambia! When we celebrate the Eucharist today, may the words of Jesus, “Do this in memory of me…”, be alive to us through the missionaries’ history so that we can make it our own story for today. I am a Ugandan from Mbarara Archdiocese of the Western Uganda. I was born on January 12, 1966. After my Secondary Education I joined the formation of the Missionaries of Africa in 1988. I spent the study of the philosophical studies at Kahangala in Magu, Tanzania (1988-91), spiritual Year at Kasama (1991-92), apostolic training at St. Peter’s parish – Serenje, Zambia (1992-94). I did theological studies in Nairobi (Tangaza College). I made the oath and diaconate in 1997. My ordination was at my home parish of Ibanda, in 1998. Then I was appointed to the then Province of Zambia. I started my missionary life after ordination at Lubwe Mission of Mansa diocese (1998-2001). I was the last of the M.Afr community to hand-over Lubwe to the Diocesan Priests. After my maiden home leave I was appointed to a new parish of St. Anne’s New Town-Kasama as a Parish Priest (2001-2005). My experience as a missionary in Zambia was parish pastoral ministry. It was also marked by the video production of the documentaries about the missionary work of the Missionaries of Africa which was concluded in 2005. From 2005 to 2010 I did my home-service in Uganda and worked as vocation promoter and missionary awareness animator. From 2010 to 2012 I did some on-going formation and followed some renewal programmes including spirituality and languages. During that time I had missionary encounters in Ireland, France, the DRC and Burundi. I have also been on the team of the on-going formators for M.Afr. English speaking young confreres. Since April 2013 I have been at the M.Afr house in Nyegezi, Mwanza in Tanzania doing some chaplaincy and followed a course of Clinical Pastoral Education at Buganda Medical University Teaching Hospital. While following treatment for my back in 2012 and 2013 in Nairobi I also helped to handle some assignments in the EAP Provincial’s office at occasions I was requested to do so. Years from 2005 to 2013 were full of exposures, discoveries, ventures and deep reflection for me in areas of spirituality and academics. I shared ecological spirituality in retreats and seminars. I read an M.A in Human Rights & Governance and got involved in advocacy and a social education for development. I did a research in Field Ecological conservation to improve the livelihoods of less privileged communities and promoted tree planting and water conservation. I developed my hobbies for nature and integrity of creation. 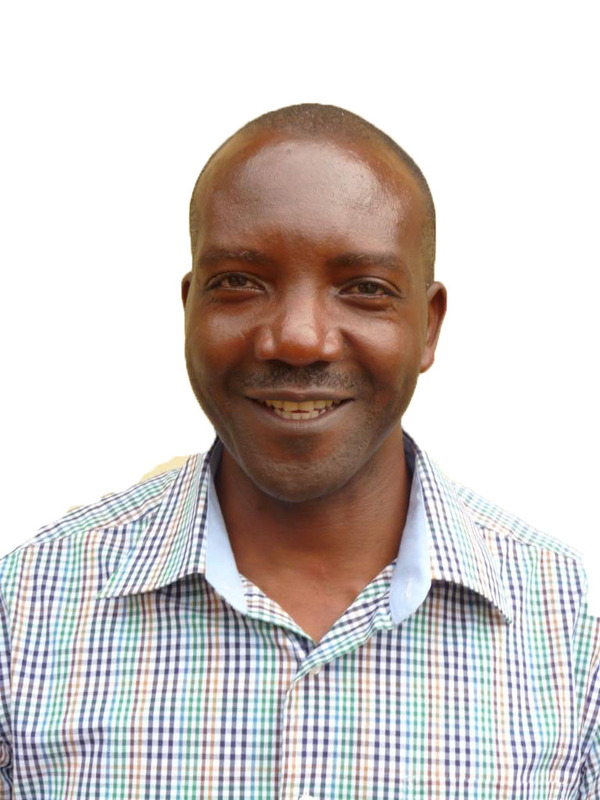 He is a full member of NatureUganda organisation that has a mandated in East Africa to promote environmental sustainability. In a short time I move to SAP for another missionary experience.